At the Adelaide Airport in South Australia is possibly one of the cities best hidden aviation treasures. In an obscure and almost forgotten location down near the airport long-term parking, sits the Sir Ross & Sir Keith Smith War Memorial building (established 1958). Inside is the immaculate looking World War One era Vickers Vimy IV G-EAOU (dubbed “God ‘Elp All Of Us“). 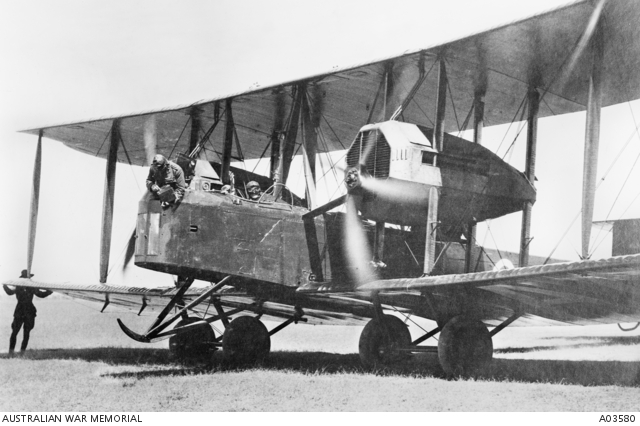 This converted former Royal Air Force (RAF) Vickers F.B.27A Vimy IV bomber (serial number F8630) fitted with two 360 HP Rolls Royce Eagle VIII engines was delivered too late to see service during World War One but became one of the more significant aircraft in Australian aviation history. 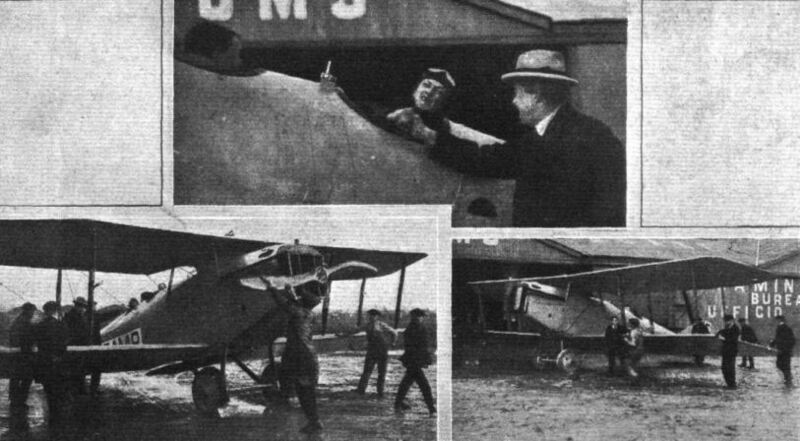 The Vickers company were persuaded by Australian pilot Captain Ross Smith to supply the bomber for entry into the 1919 England to Australia Air Race. 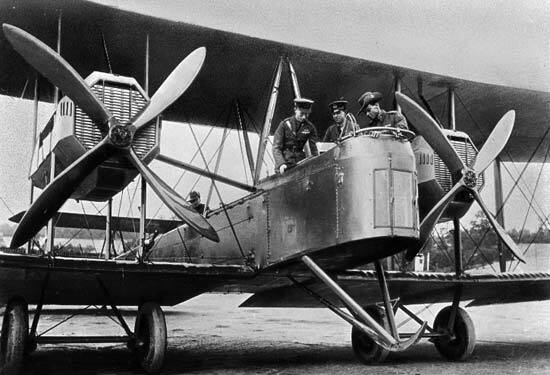 They soon set about adding extra fuel capacity to extend the big biplanes range whilst removing the radio and any other unnecessary items to reduce weight and create space, so they could pack the plane with spare parts for the long journey ahead. Quite the task given it only had minimal cargo space in the first place! 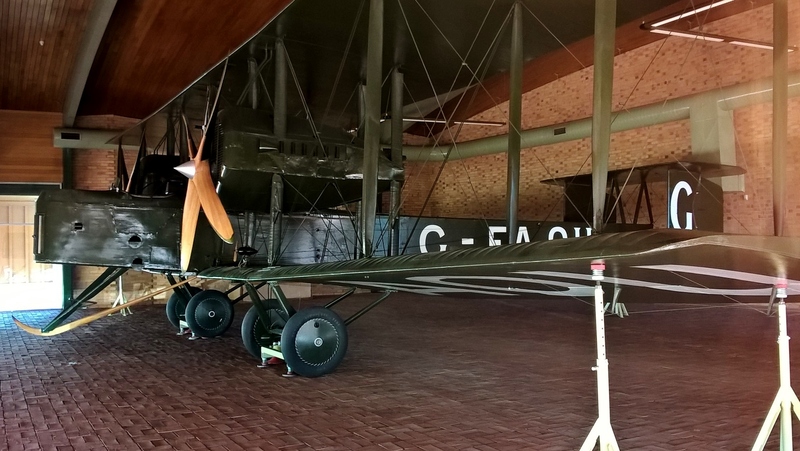 Vickers Vimy IV G-EAOU – Adelaide’s best kept aviation secret! 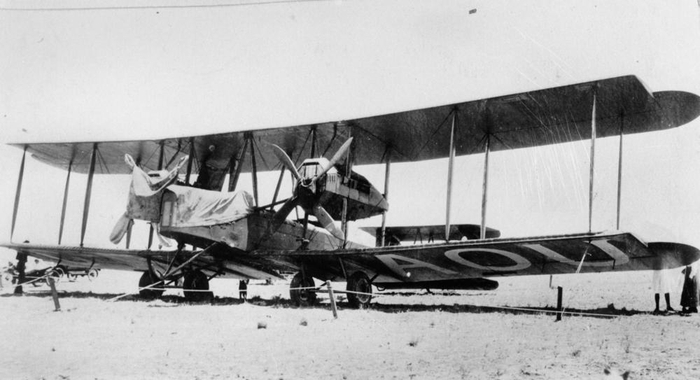 The Vickers Vimy was piloted in the race by Captain Ross Smith (Australian Flying Corps) with his brother Lieutenant Keith Smith (Royal Air Force) flying as the co-pilot and navigator along with their Australian military mechanics Sergeants Wally Shiers and Jim Bennett who had served with Ross Smith previously. 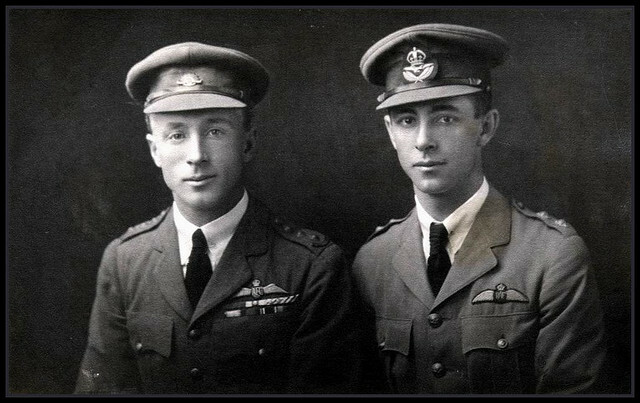 These men became the first to ever fly an aircraft from England to Australia in 1919 and became the winner of the first England to Australia Air Race as a result. The England to Australia Air Race was a 1919 initiative of the Australian Government headed by Prime Minister William Morris “Billy” Hughes (1862-1952) to promote aviation in Australia. A £10,000 prize was up for grabs for the first Australian crew to fly from Hounslow, England to Darwin in the Northern Territory within 30 consecutive days and by midnight on December 31st, 1920. The race was under the supervision and rules set by the Royal Aero Club of England. Many Australian pilots were still based in England awaiting to be repatriated home and for some this seemed like an exciting way to have an adventure getting back there and maybe make some decent money in the process! The Smith brothers were one of six race entrants but only two completed the journey. Two crews crashed with the sad loss of four crew members and the other two withdrew following damage sustained in a crash and a heavy landing. 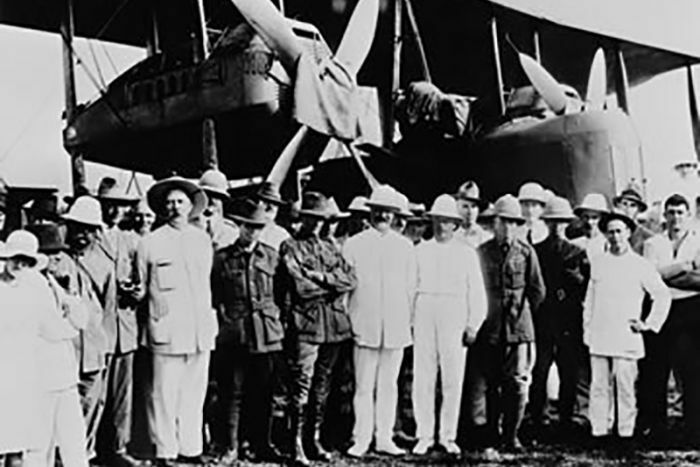 The brothers with adventure in their heart, set off at 8am in poor weather from Hounslow, England on November 12th, 1919 (the first to depart), arriving in Darwin 27 days and 20 hours later, on December 10th, 1919 after flying the 18,000 km journey at an average of 137 kilometres per hour through numerous countries, with many hair-raising experiences along the way including foul weather (this must have been made worse by the open cockpit of the Vimy and flying in blizzard like conditions – freezing cold and soaking wet! ), being stuck in mud and a charging bull! The crew arrived home as national heroes and apart from an equal share in the prize money, the Smith brothers were knighted by King George V (December 22nd, 1919) and the mechanics were commissioned and awarded bars to their Air Force Medals for their daring deed. After the flight to Darwin they took twice as long to fly to Sydney. I gather this was a crowd pleasing trip with plenty of stops to show of the Vickers Vimy to the big crowds that would have turned up. When they eventually returned to Adelaide some 20,000 people came out to see the Smith Brothers alone! In comparison the slowest competitor and the only other entrant to finish the race, Lieutenant Ray Parer & John McIntosh flying a much smaller single engined Airco DH.9 G-EAQM took 208 days to complete the race (plus 29 more to make their way to Melbourne)! They actually started on January 8th, 1920 which was well after the race had already been won and were plagued by problems and accidents all the way (more on their misadventures in my next post)! Of those crews sadly lost attempting to fly to Australia were: Lieutenant James Ross and Lieutenant Roger Douglas flying a Alliance P.2 Seabird G-EAOX “Endeavour” crashed just a few minutes after take-off on November 13th, 1919 at Surbiton, UK (London) and Captain Cedric Howell and Lieutenant George Fraser flying a Martinsyde Type A Mk.I G-EAMR took off from London on December 5th, 1919 but disappeared over St. George’s Bay, Corfu in Greece on December 10th, 1919. The wreckage of the second aircraft was found offshore and Howell’s body was recovered but alas Fraser was never found. 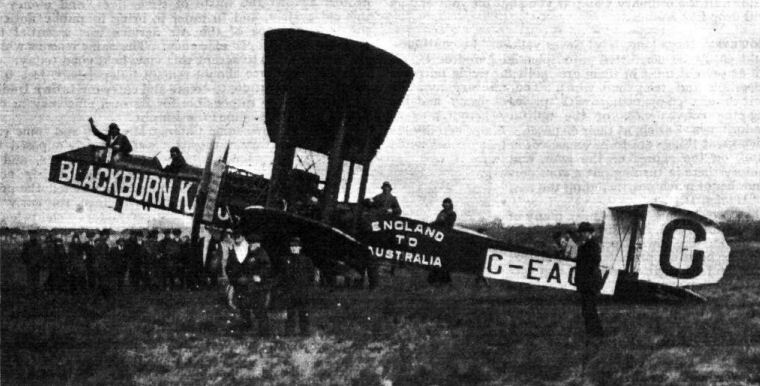 The other two crews that did not finish the race had interesting tales as to why they had to abandon their attempts to be the first to fly from England to Australia. 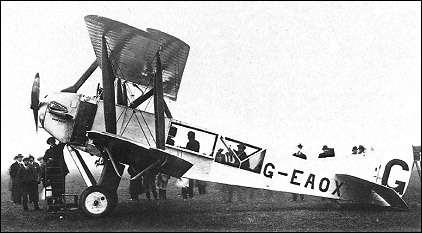 Captain Hubert Wilkins (navigator), Lieutenant Valdemar Rendle (pilot), Lieutenant David Williams (crew) and Lieutenant Garnsey Potts (crew) set off in their twin-engine Blackburn Kangaroo G-EAOW from Hounslow, England on November 21st, 1919 and had to land in France with engine trouble. 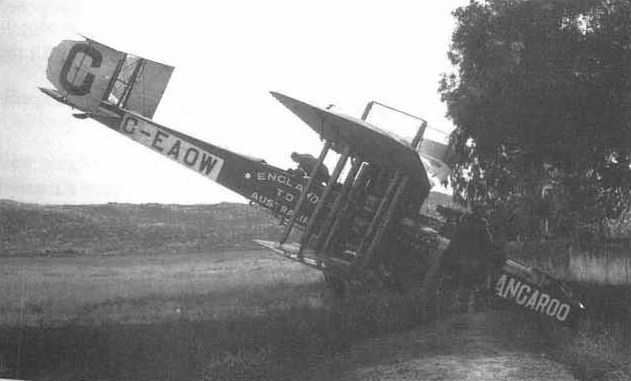 They were still have engine problems when they suffered a forced landing on December 8th, 1919 at Suda Bay, Crete but luckily escaped with no serious injury. 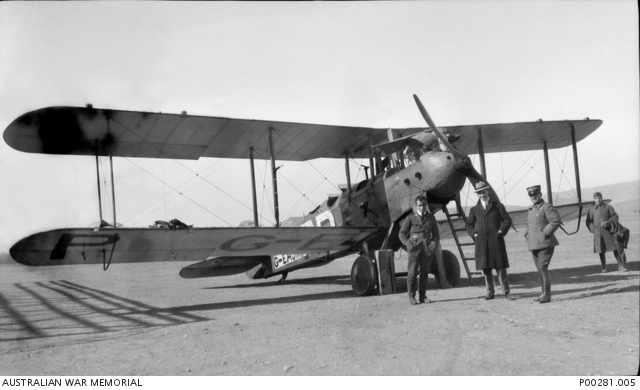 Captain George Matthews and Sergeant Tom Kay (mechanic) flying a Sopwith Wallaby G-EAKS set off from Hounslow, England on October 21st, 1919 and were the closest of the non finishers to almost make it to Australia. They had some misadventures along the way, ranging from bad weather delays across Europe to briefly being detained in Yugoslavia as suspected Bolsheviks! They suffered more delays from a cracked engine cylinder in Turkey and bad weather on Syria but battled on until they unfortunately crashed on April 17th, 1920 at Grokak in Bali, Indonesia. This ended their race but luckily Matthews only suffered a slight injury in the crash and Kay was relatively unharmed. 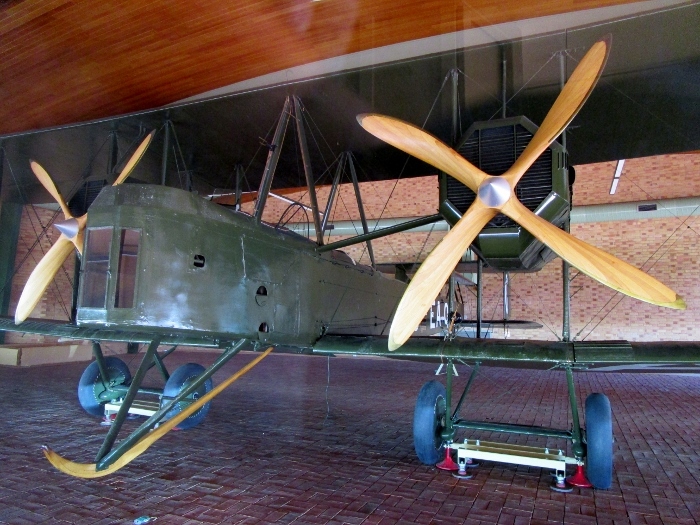 Following the record-breaking flight the Vickers Vimy was donated by Vickers to the Australian government and eventually became part of the Australian War Memorial collection. 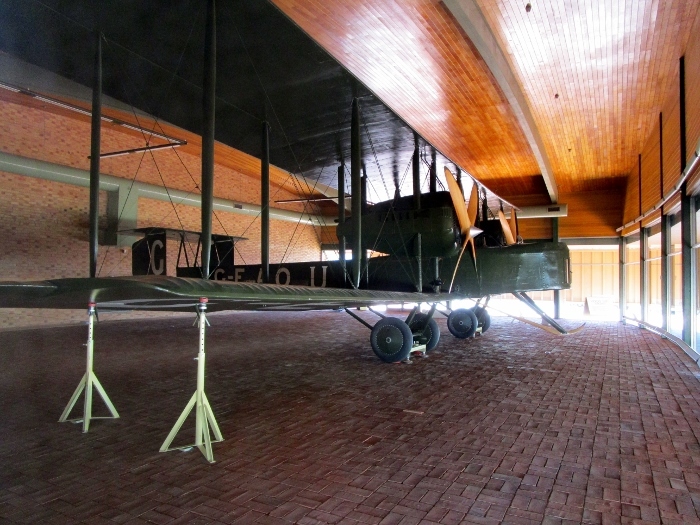 By 1958 the aircraft was put on permanent display in Adelaide in the purpose-built building where it remains today. 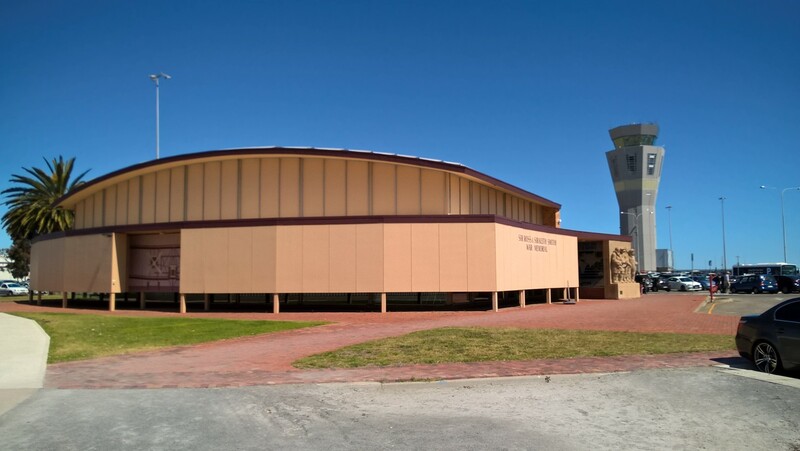 Back in the day, it was front and centre to the old Adelaide Airport terminal building and in the public eye. Today though, far from the new terminal, everyone I saw just walked past the memorial building with little curiosity. This is a shame as it is historically significant to Australia and also well presented in the memorial building (albeit a bit hard to see at times due to sun glare on the glass surrounding it). Given the historical significance of the Vickers Vimy it really should have been relocated to be near the expansive plaza of the new terminal building (apparently it was considered too fragile to be moved but given the plaza is mostly a big open space it would be a perfect fit to put something there). There has been some discussion the SA Aviation Museum in Port Adelaide would like to raise the necessary funds to relocate and house the big biplane to their museum to boost the number of visitors (they would require $2M to expand their museum to do it though) but the Airport has indicated they want to keep the Vimy and have also considered in the past moving it to a more prominent location such as the plaza. Time will tell I guess? Follow the information plaques along the Smith Brothers Walking Trail from the terminal building to the memorial. Each plaque provided by the Sir Ross & Sir Keith Smith Fund, represents the main stops the Smith brothers made in their record-breaking flight and has interesting information about each stop from Hounslow, England to Darwin, including the Vickers Vimy being charged by a bellowing bull at Allahabad, India on November 28th, 1919 and having to get a boy scout to distract it while they took off! Lyons, France (Nov 13th) – stiff with cold the French thought they were mad to fly in such appalling weather! Rome, Italy (Nov 15th) – One heavy battle against strong winds and heavy cloud meant they had to fly dangerously low. Crete, Greece (Nov 17th) – Flying blind they almost hit a rocky island! Cairo, Egypt (Nov 18th) – Wally Shiers had to use chewing gum to seal a crack in one of the engines! Damascus, Syria (Nov 19th) – It hadn’t rained in Damascus for 8 months until the Vimy arrived. Upon take off the propellers showered them all in mud! Basra, Iraq (Nov 22nd) – A rest day whilst the Vimy was serviced by the mechanics. Karachi, Pakistan (Nov 24th) – After the longest flying stretch the stress of constant flying was showing on the crew. Delhi, India (Nov 25th) – The constant engine roar had deafened Ross Smith. He didn’t hear a word of the welcoming speeches! 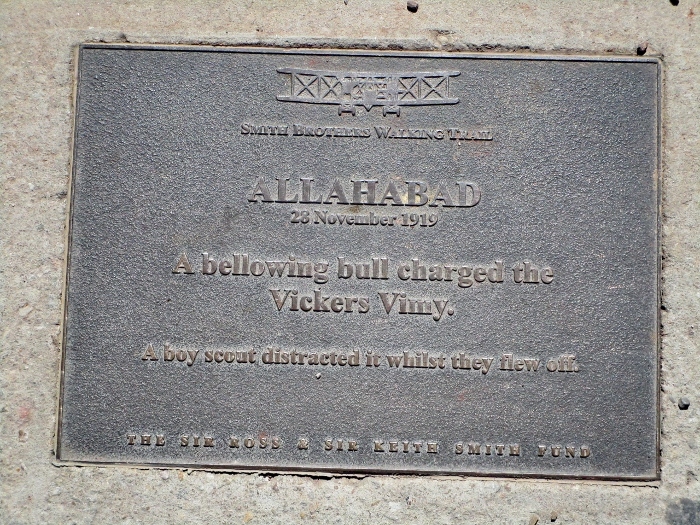 Allahabad, India (Nov 28th) – This is where that previously mentioned bull charged the Vimy! 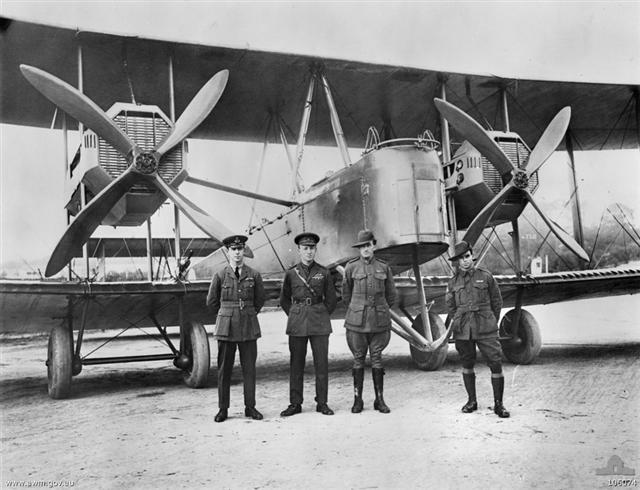 Calcutta, India (Nov 29th) – Hawks circled the Vimy after take-off and one hit a propeller. Luckily no damage was sustained. 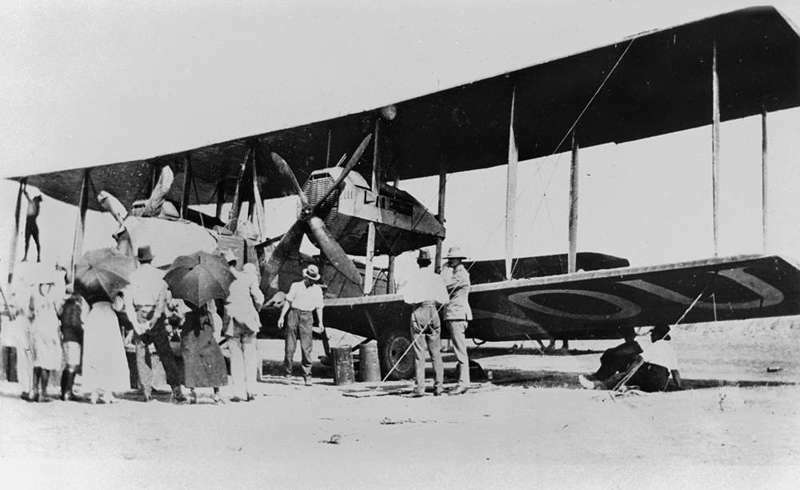 Rangoon, Burma (Nov 30th) – The Vimy was the first aircraft to ever land at Rangoon (on a racecourse). Bangkok, Thailand (Dec 1st) – A terrifying flight over cloud covered mountains with poor maps to guide them. Singora, Thailand (Dec 2nd) – A miracle landing on the “good airfield” that turned out to be a cleared patch of jungle with tree stumps everywhere and half under water! 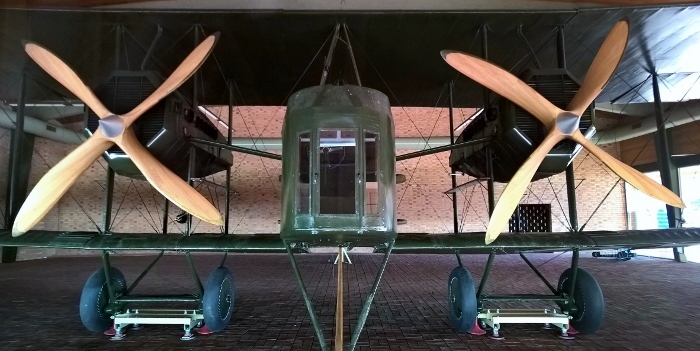 Singapore (Dec 6th) – As they took off from a racecourse airstrip the Vimy’s wheels grazed the treetops. Surabaya, Indonesia (Dec 8th) – The Vimy was bogged but Keith Smith had the good idea to lay down bamboo mats. They took off with the mats flying about everywhere! 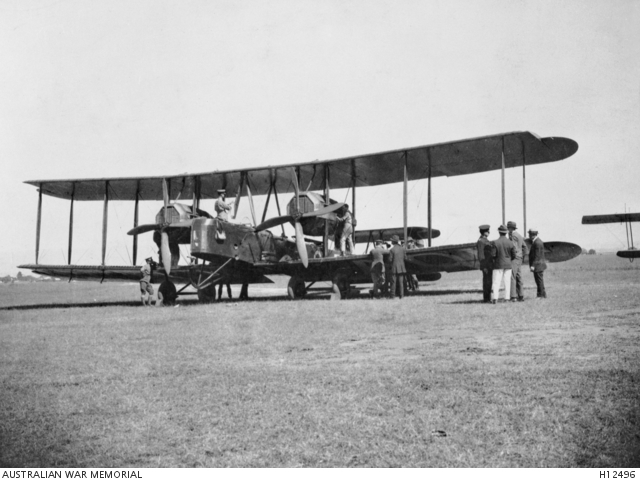 Atambua, Timor (Dec 10th) – The Vimy took off for Australia and the gust of wind from the engines blew spectators off a fence! 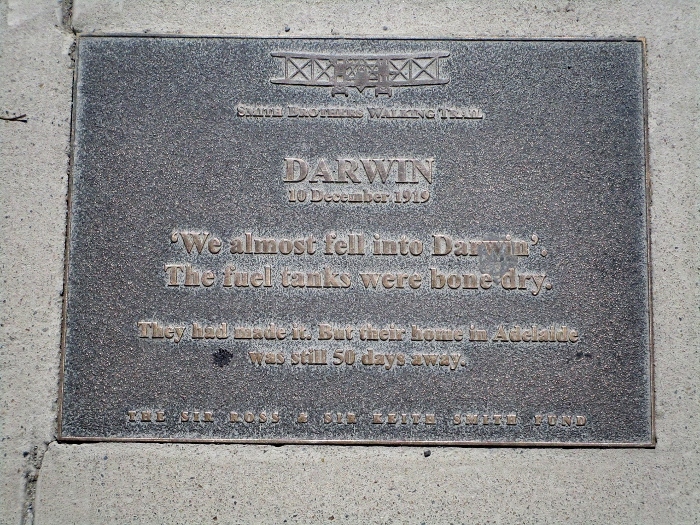 Darwin, Australia (Dec 10th) – “We almost fell into Darwin” with bone dry fuel tanks. Darwin – they made it on the smell of an oily rag! 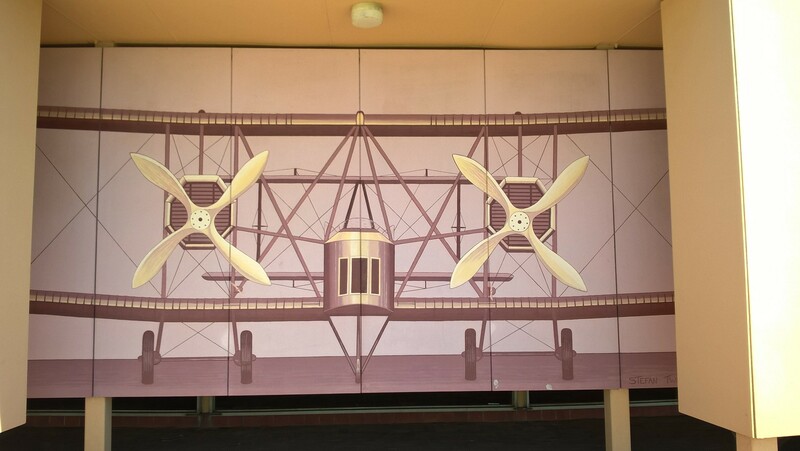 Why is the memorial and the Vickers Vimy in Adelaide, when the 1919 air race ended in Darwin? Well, the pilots are the tie to Adelaide, rather than the aircraft itself. 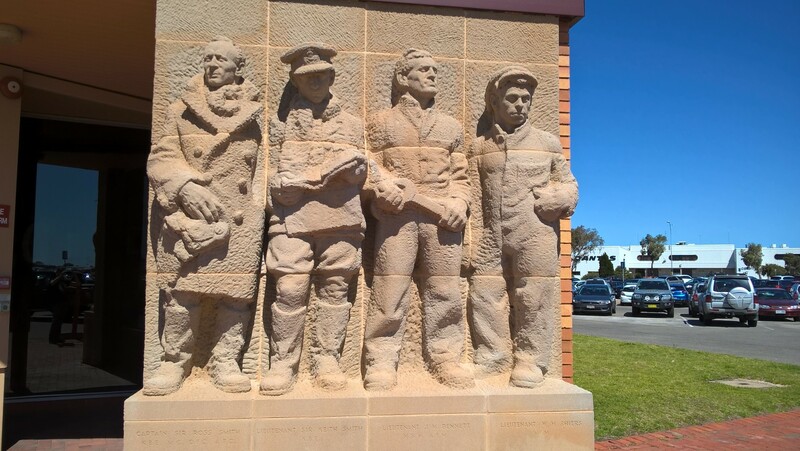 Sir Keith Macpherson Smith (1890-1955) was born in Adelaide on December 20th, 1890 and Sir Ross Macpherson Smith (1892-1922) was born on December 4th, 1892 in Semaphore, Adelaide. Sir Ross Macpherson Smith first served with the Australian 3rd Light Horse Regiment in October 1914, then went to Gallipoli in 1915 and the Sinai in 1916 before transferring to the AFC in 1917. He then served with No.1 Squadron AFC (No. 67 Squadron RFC) in the Suez Canal region, first as an observer then as a pilot flying air to air combat, bombing and aerial photography missions against Turkish forces. During this time he gained valuable experience flying numerous aircraft including the Bristol Fighter and most importantly the squadrons large twin-engined Handley Page 0/400 bomber which would prove very handy later as it was very similar to the Vickers Vimy. His exploits during World War One were quite heroic and he was awarded the Military Cross (MC) twice, the Distinguished Flying Cross (DFC) three times and also the Air Force Cross (for non-operational flying duties). On one memorable occasion he landed in front of Turkish forces to rescue a downed pilot! He was also known to have flown Lawrence of Arabia as a passenger in his aircraft from time to time. During his AFC career Ross Smith became a talented long distance flyer, conducting missions as a co-pilot to pioneer aerial routes from Cairo, Egypt to Calcutta, India and from Calcutta to Timor. His adventurous life was sadly short-lived though and less than three years after his success in the 1919 air race he died in April 1922 at just 29, in a Vickers Viking amphibious biplane crash in England with mechanic Jim Bennett, whilst preparing for a round the world flight (apparently he had never flown the type before and the crash was put down to pilot error). His brother Keith Smith was unfortunately there to see his brother who he had shared so much adventure in life with, die in that crash. They were returned to Australia for a state funeral. 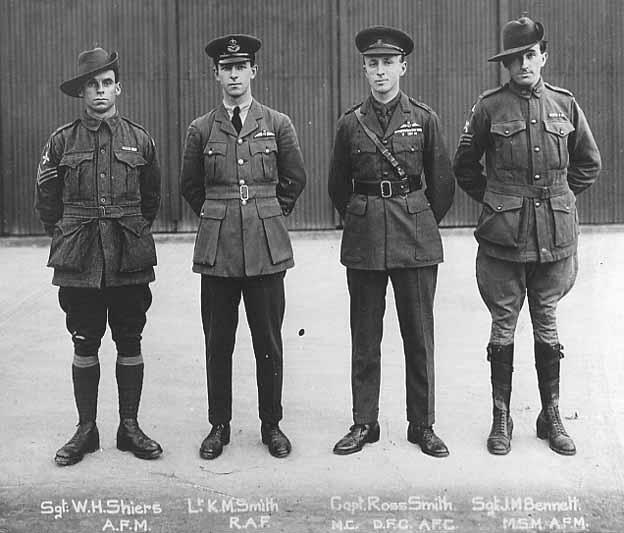 Sir Keith Macpherson Smith was rejected from entering the Australian army on medical grounds. Following medical treatment he travelled to England and enlisted in the Royal Flying Corps (RFC which later became the RAF) in 1917. Following training he was posted to No. 58 Squadron RFC flying bombers in November 1917. 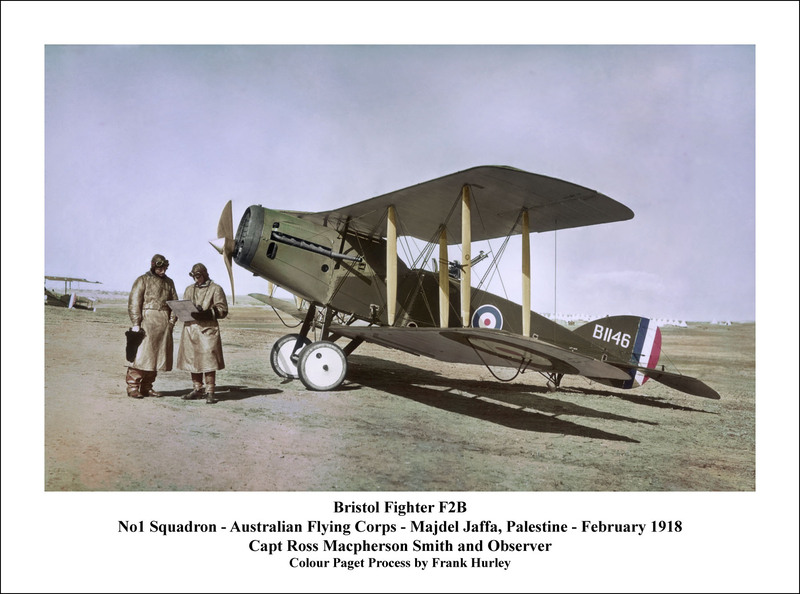 The squadron was deployed to France in January 1918 but saw no combat. The following month he returned to England and flew with No. 75 Squadron RFC for home defence as a gunnery instructor and other training duties. He was discharged from the RAF on November 5th, 1919. Just in time to fly with his brother in the England to Australia Air Race! In later life he became the Australian representative for the Vickers company and also served as director for a number of airlines and companies including Qantas and Tasman Airways until his death in 1955. The Smith brothers record for the fastest time flying from England to Australia would stand for 10 years. It was not until fellow Australian Bert Hinkler completed the journey in under 15.5 days in 1929, flying solo in an Avro Avian that the record was broken (the Australian government gave him £2000 for his effort). Hinkler also served during World War One as an observer in the Royal Naval Air Service where he was awarded the Distinguished Service Medal and as a pilot in 1918 in the RAF. 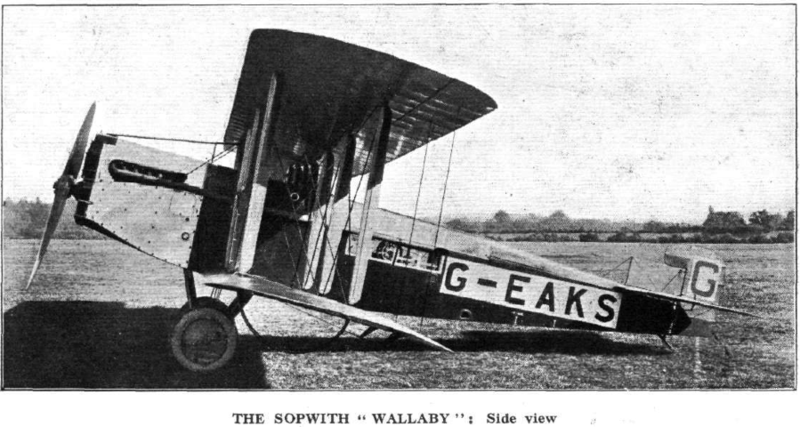 Interestingly his application into the 1919 England to Australia Air Race to fly a Sopwith Dove was rejected at the time! 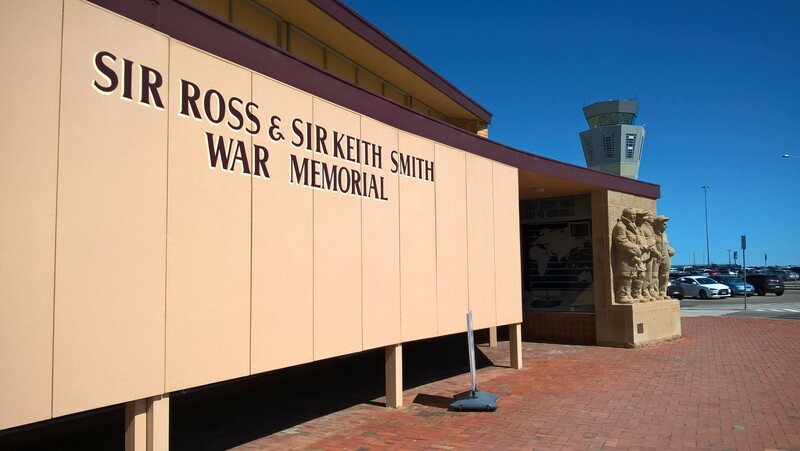 If you are ever at the Adelaide Airport I recommend taking a walk along the Smith Brothers Walking Trail to check out the Sir Ross & Sir Keith Smith War Memorial and Vickers Vimy G-EAOU. You will be impressed by the size of this big biplane but will also see how exposed to the elements the crew would have been on such a long and dangerous flight!